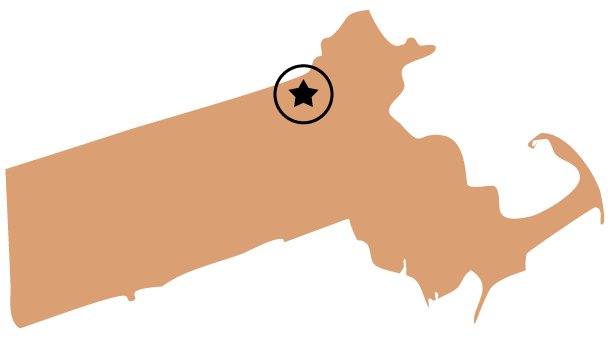 Cherries are the second fruit of the “pick your own” season in New England, after strawberries. And we are just days away from the start of the cherry season at Parlee Farms! Cherries are one of the most beautiful tree fruits! Sweet cherries are known to have plenty of health benefits since they are high in antioxidants, and low in cholesterol, fat, and sodium. They are also a good source of Vitamin C and fiber. For a pick your own farm, cherry trees on a full-dwarf root stock (smaller trees) are the best option. They are easier for pickers and farmers to navigate and they bear the most fruit. Of the six varieties of sweet cherries here at Parlee Farms that cover almost two acres of land, the majority are the Black Gold and Regina varieties. The Black Gold are self-fertile cultivars and do not require cross pollination. 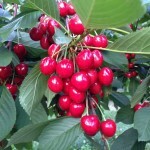 A large cherry variety, it is a cross between Stella and Gold and resists cracking in wet weather. Regina is a popular modern sweet cherry variety, developed specifically to be resistant to rain-induced fruit cracking and splitting. Cherries grown in New England must overcome a few challenges. The first is the weather. There is a very short time frame for cherries due to the weather conditions in New England. The picking season typically only lasts for about three weeks from late June into mid-July. If it rains often while the fruit is present, it can further reduce the season since cherry trees like well-drained soil. The skin of the cherry is more prone to cracking with too much rain. The second challenge is birds. Some varieties are more attractive to birds than others, but cherry trees need to be protected. The best way to keep the birds away from cherry trees is by covering them with nets. If the trees aren’t covered, the tree will likely be left with bare pits hanging from their stems! If you enjoy cherries, we hope that you are able to go picking during the short time span that they are available here in New England! Remember, cherries are very perishable and do not ripen after picking. Pick fully ripe cherries and refrigerate them soon after purchase. They can remain fresh in your refrigerator for at least 2 days.